Anke Dill | Klanglichter e.V. 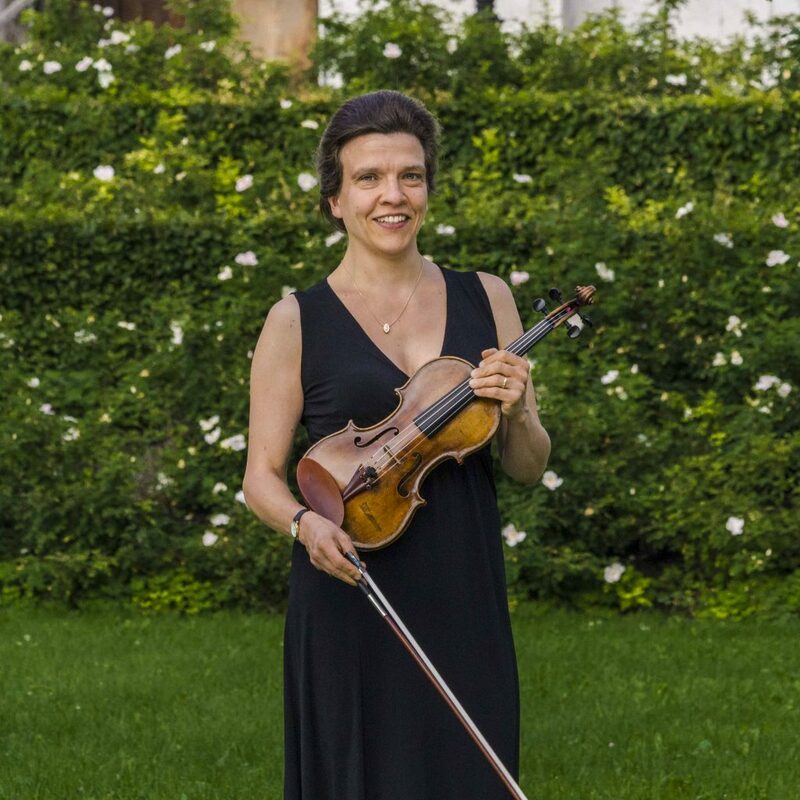 Anke Dill was born and raised in Stuttgart (Germany) and studied violin with Nora Chastain, Shmuel Ashkenasi, Yair Kless and Donald Weilerstein. Winner of numerous awards and prizes, she performs as soloist and chamber musician in varying ensembles all over Europe, Japan, China and the United States. She performs on festivals such as the „Schleswig Holstein Festival“, „Brahms Festival“, the „Salzburger Festspiele“, the „Rencontres Musicales de Haute Provence“, in the USA at the „Aspen Music Festival“ in Colorado, in major concert halls such as, among others, the Laeiszhalle in Hamburg and the Liederhalle in Stuttgart. Concerts with famed soloists, CD productions and radio and TV recordings attest to her artistic versatility. With Jacob Leuschner she has played all Mozart, Beethoven and Schubert cycles for piano and violin several times. Dill started her teaching activity 2001 at the Musikhochschule Lübeck. She gives regular Master Classes at the International Summer Academy in Ettal. 2004 she was called to become professor of violin at the Staatliche Hochschule für Musik und Darstellende Kunst in Stuttgart. 2009 she founded the Bartholdy Quintet, together with Ulf Schneider, Barbara Westphal, Volker Jacobsen and Gustav Rivinius.